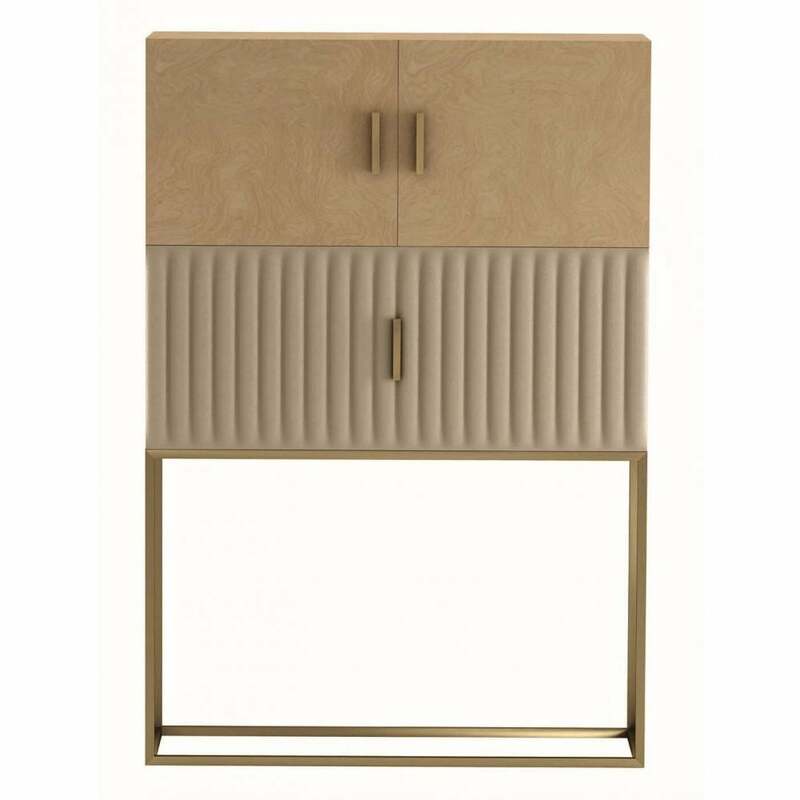 Embrace the luxury style of the Monsieur bar cabinet from Daytona by Signorini & Coco. The cuboid structure is supported by an on trend structured base in a beautiful burnished brass finish. The bar cabinet is formed from two sections. The underneath presented in a soft cannettè leather with contrasting wood veneer on the top section. As with much of the Daytona range, both elements are available in a range of fabric and finishes. This enables you to expertly match the Monsieur bar cabinet to any living space.